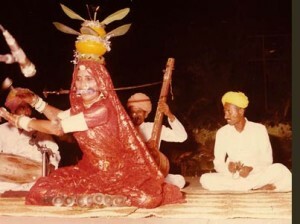 Tertali Dance of Madhya Pradesh: Tertali is performed by Kamar tribes. This beautiful western folk dance is basically performed by the kamar tribes. Moreover this dance is considered as an elaborate ritual and it consists of various types of dance forms. Also this dance form is executed by two or three or many more women who sits on the ground and then perform. Furthermore this dance involves the usage of Manjiras which are the small metal cymbals. These are tied to the various parts of the body and then women perform along with it. With the song beat and also as per the rhythm, the dancers strike these Manjiras which are tied to their hands. Also the dancers cover their head with veil when they perform the Tertali. At times it is seen in Tertali dance that women clenched a small sword between their teeth’s. Also in this dance women carry ornamental pot on their head which is very difficult to balance while dancing. The Tertali dance of Madhya Pradesh is a well-known form of folk dance of the region and is practiced by the kamar tribe which is a small community of the state of Madhya Pradesh. It is situated in the north eastern part of the country of India. Madhya Pradesh can even be regarded as cultural museum of India. It inhabits a wide array of dances forms which are mostly folks in nature. A large population of tribal communities can be seen in the Madhya Pradesh. Therefore Tertali is one such form of folk dance form which is performed by many kamar tribes.